so couldn’t resist making something a bit topical for Valentines Day yesterday. 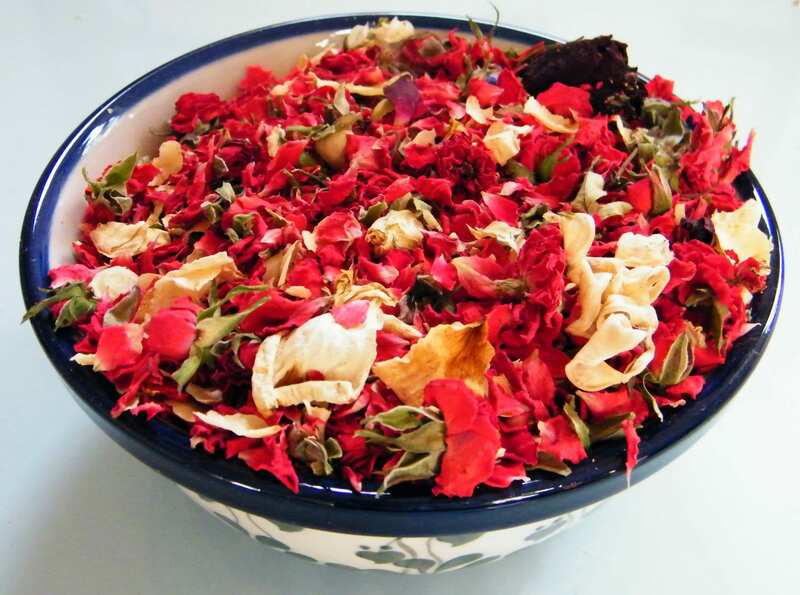 About 1 litre of assorted dried rose buds and petals. I used mainly bright red rose buds, dark red rosebuds and cream rose petals, with a little bit of cream curly pod thrown in. Fragrance oil in a sweet fragrance – I used Claremont & May’s Pink Pepper & Lotus Pod. 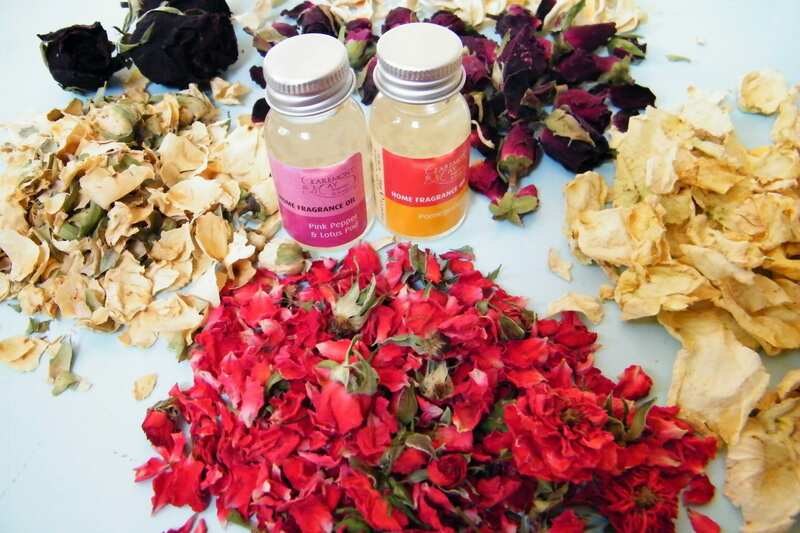 Place the dried roses in a plastic bag and add a few drops of fragrance oil. Seal the bag and shake gently to disperse the oil. Leave sealed for a few hours for the oil to permeate. Display in your chosen bowl. Refresh with a drop or two more of oil as the fragrance fades. 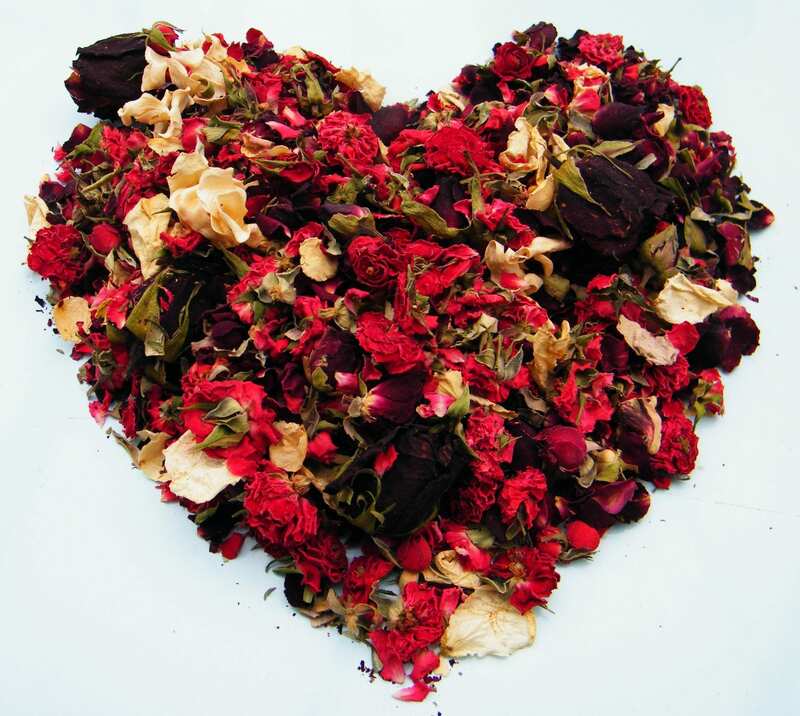 To gauge how many dried flowers you will need, one litre will fill one small bowl. That’s very roughly 200g rose buds or 100g rose petals depending on variety. Of course you can make a more natural potpourri using essential oils and orris root powder in the traditional way – find out more about potpourri making here.